As we rummaged through our garages and attics to get all of our holiday decorations out of storage it reminded us of all the things that people store. We’ve moved entire homes into storage facilities. People store pieces of artwork, bulky furniture, tools, and of course home décor. A lot of your worldly possessions and memories can end up in a storage unit. Even if it’s just short-term, finding a good spot to park your stuff is extremely important. Good storage units have a few things in common, but the season can also affect the decision. Below is a list of things to consider when you’re looking for a storage unit in the fall. During the fall pests of all sizes are trying to find a home for winter since living outdoors isn’t as comfortable. Areas that aren’t frequented by humans (like a storage unit) are ideal. Reputable storage facilities know this and take the initiative to have regular pest control treatments. The holidays add an extra element worth considering during the fall. Thanksgiving, Christmas, and Hanukkah are all right around the corner and people usually want to take time off. Businesses will reduce staff and the hours they’re open for operation. You’ll want to check and make sure there will be appropriate staffing throughout the holidays. This also ensures you can access your unit without any issues. Theft tends to go up during the holidays when people are looking for extra cash and free presents. Ask the storage facility what type of insurance they have and the coverage they offer customers. You may also need to get insurance of your own to cover the unit. Some homeowner insurance policies offer protection through off-premise personal property coverage. Off-premise policy coverage typically includes fire damage, theft and vandalism. However, off-premise coverage is usually limited to 50% of whatever you’d get at home. No matter what time of year you reserve a storage unit, size is always a factor. You’ll want to make sure there’s enough space for all of your stuff plus area for a walkway. A path through the unit is essential for access when you’re taking holiday décor in and out or adding presents. As mentioned above, theft can be a bigger problem at the end of the year. 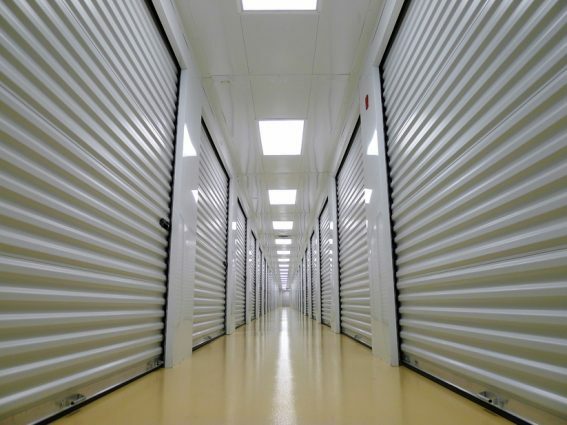 Storage facilities that put an emphasis on security will give you peace of mind during a time of year when you’re dealing with extra stressors. Look for things like a security gate at the front, cameras all around, and on-site security officers. Need help moving into a new storage unit? Square Cow Movers can help you move everything into or out of a storage unit with ease. Give us a call or use the online form to get an instant moving quote!